Let's celebrate spring time with art and fun! Our next event is a special one: we are going on a field trip to Ostiense to find out about Street Art and to look at how artists like Blue or Iena Cruz explore the relationship between humans and nature. The event is for families with at least one adult accompanying their children. We will then keep on with the 'Drawing at the museum' lessons with two new dates. Are you a teacher? Try our School Programmes in English. They are a wonderful opportunity for your students to learn through art, be engaged in creative activities, and learn new vocabulary. Look below for more information. We will visit striking murals from the year 2010 up to 2018, by different artists, seeing how each has been inspired by both the natural world and the man-made one, and how the artists are using street art to help address and draw attention to social and natural issues. ​Katie, who is an expert on Street Art, will guide us around. combinations of the natural and urban landscape coming together in the form of some impressive art! We are going to the Museo Civico di Zoologia again! This is a special event!! We will visit the museum where we will admire the ancient monument of the Ara Pacis and the mosaic by contemporary artist Mimmo Paladino, drawing on site. We will then move to the museum classroom and engage in a watercolour activity. Register soon as the group is filling up quickly! facilitated by expert teachers and museum educators. 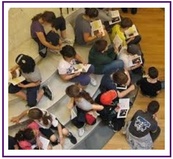 Programmes are designed to foster active learning and engage our audiences in careful observation and the development of English language and critical-thinking skills. Our teaching strategies are based on the most advanced practices and methods with the aim to create meaningful experiences with art. 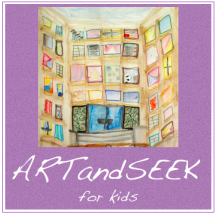 ArtandSeek is a non-profit Association.